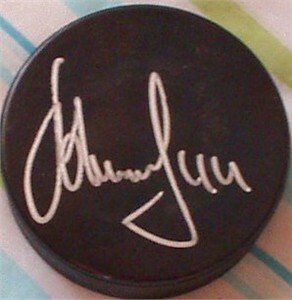 Blank hockey puck autographed by former Buffalo Sabres and Philadelphia Flyers Alexei Zhitnik. With certificate of authenticity from AutographsForSale.com. ONLY 2 AVAILABLE FOR SALE.